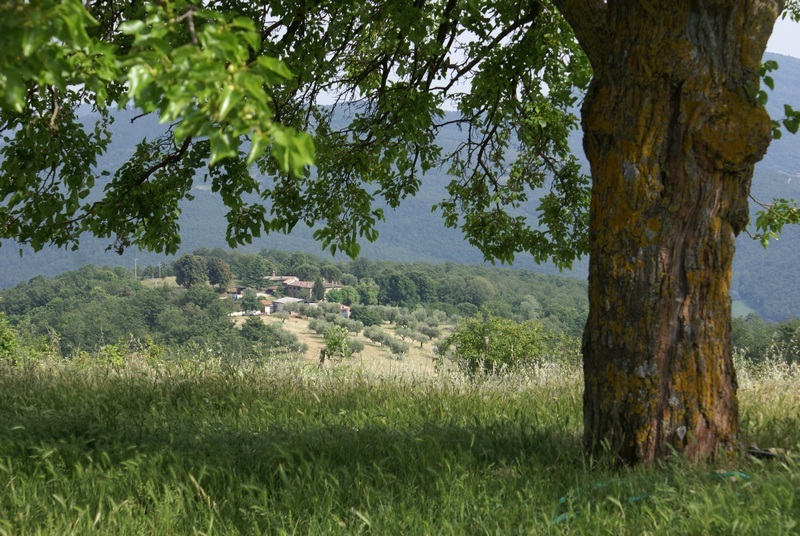 Farming for the future in Umbria – Earthlimited | Earth Limited? Yesterday (Saturday) we drove to Alfredo and Christine’s farm, first in mid afternoon to film and photograph scenes on and from the farm and later in the evening to film an interview with Alfredo. Alfredo and Christine came to this valley in the mid 1970s, students from University in Rome coming to live an ideal in the countryside. 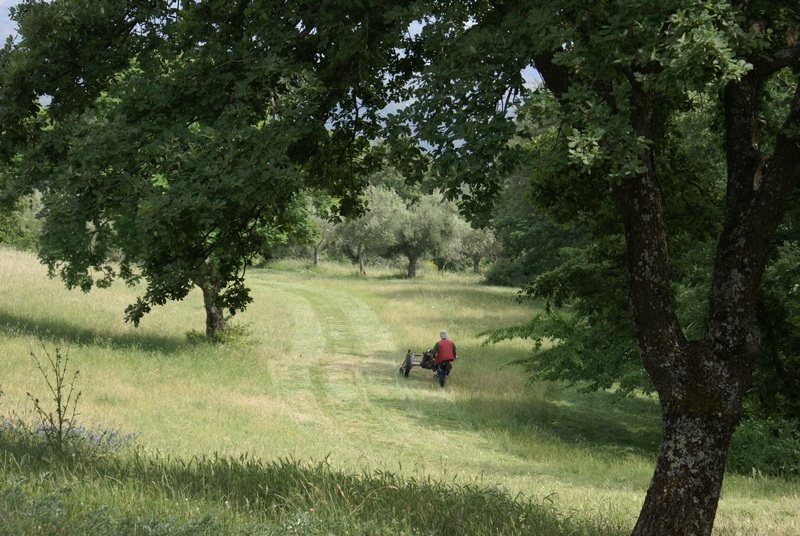 They discovered this beautiful place in Umbria, 100ha of abandoned land in the hills. The hills were mostly abandoned in the 1960s, with people either moving to the cities or down into the valley to work on tobacco farms which predominate here. They chose an organic approach, consistent with traditional agriculture in this environment, but with contemporary ideas and technology. The forested hills here provide a protective cover that is very important in an environment that becomes very dry in the summer months. But there are problems. Aside from the good work of people like Alfredo and Christine, the hills and forest are no longer managed in a way that supports sustainability of the whole environment. Mostly now the old villas in the hills have been bought by foreigners or converted to tourist accommodation. 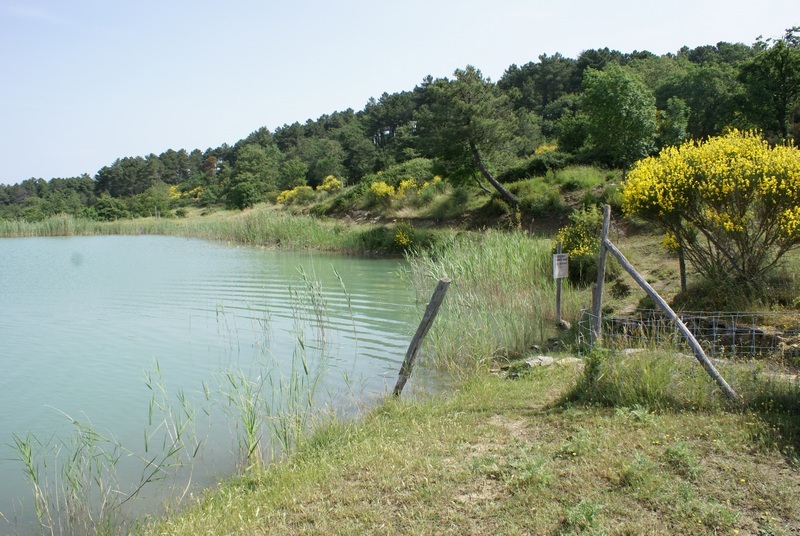 The forest is neglected and use of water for swimming pools is increasing the pressure on water resources. This is on top of the heavy use for water for tobacco growing in the valley. People are having to drill deeper to get water. The winter snows of 30 years ago are no longer happening, an important source of groundwater recharge. Alfredo talks to the old people and they say that the agriculture in the valley has been destroyed. Local people hear through the news about climate change, they are experiencing local climatic changes, they wonder if there is a connection. They lack relevant information to help make the connections. The potential here is in the forest, the environment, the mix of people … the likes of Katharina with her networking, Alfredo and Christine with their organic farming, the long-standing farmers and others in the community being supported and empowered to work together for the future. Alfredo’s view is that there is a need to refocus back to producing local food for local people. They are leading through their example. Being in this beautiful valley in Umbria, visiting Assisi, has been very uplifting and a further affirmation of what motivated me towards undertaking this journey with my family. We continue to meet people doing good things … now stretching from Thailand, Viet Nam, Nepal, Egypt, to Italy. It is my goal to work to strengthen the connections that have been made, to create the possibility of bringing some of these grassroots people from different places together. I can do this through a documentary film if I ultimately find the extra support needed to realise this. But I also now carry a goal to physically bring grassroots people from different places together … to facilitate an interaction that I think could be very powerful and really help guide a true action focused approach to addressing the real issues of our time in a realistic manner.